The paper established a double filtering method (DFM) to visualize the skeleton industrial structure (SIS) of one economy and find its evolution rule. Different with the previous researches, this method is from a new view of industrial conjunctions combined by leading sectors to depict the industrial structure. It was proved that the leading sector selected by DFM must be key sector selected by Hirschman-Rasmussen method. Applied DFM to input-output tables of China, Japan and USA and MFA to Japan and USA, the results analysis showed that DFM could overtake the two main shortcomings of minimum flow analysis (MFA), scratch SIS of each economy with its own characteristics, visualize the general evolution rules of the industrial structure with crisscrossed conjunctions among leading sectors. This research was supported by the National Natural Science Foundation of China under Grant No. 71173210. This paper was recommended for publication by Editor YANG Cuihong. The author is extremely grateful to the editor and anonymous reviewers for their insightful comments and suggestions. 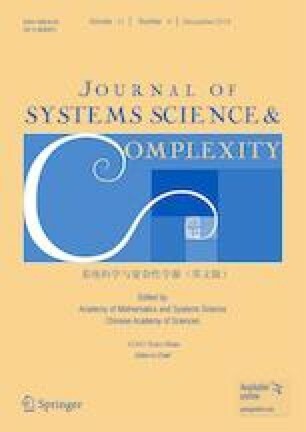 The author also thank Professor Xikang Chen at Academy of Mathematics and Systems Science, Chinese Academy of Sciences, Professor Geoffrey Hewings at University of Illinois at Urbana-Champaign and Professor Erik Dietzenbacher at University of Groningen for their helpful comments and suggestions on the paper.